As the leading manufacturer of precast concrete steps in the U. S., Century Steps® provides the most innovative and durable concrete steps. For over six decades Century Steps® has provided the highest quality precast concrete steps to provide a safe and attractive entrance to homes, businesses, temporary buildings, pre-manufactured homes and a vast array of industrial applications. Easy Installation: Century steps are manufactured from light weight concrete making handling, delivery, and installation of your step safe, and easy. 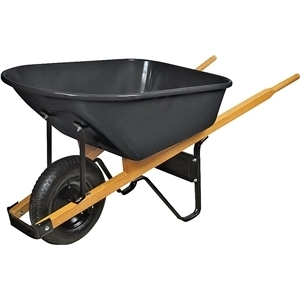 Utilizing lifting slings or fork adaptors the Century steps are easily loaded into pickup trucks or trailers. Using step handling bars or a step handling dolly customers can easily pickup, and install their durable, lightweight Century step. 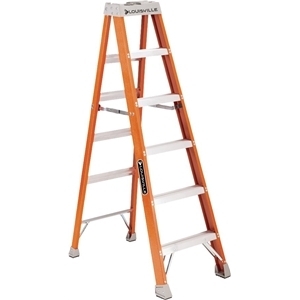 Safety: The Century concrete step riser height and tread depth meet residential building codes to insure maximum safety and Century Precast Concrete Step at Home Outdoor Deck Sitting Areaconvenience to all user groups. To enhance the Century step, ready-to-install aluminum handrails are available for every style of step. The handrails are one piece, all welded construction allowing them to be installed by one person in minutes. These attractive and safe handrails meet most building codes, military and insurance company specifications. Being durable, simple to install, economical and versatile makes the Century step and its accessories a very attractive addition to your product line and will enhance your profitability in the future. Durability: The Century step is portable, manufactured of high strength, lightweight, steel reinforced concrete for durability and convenient installation. The one-piece construction of the Century step requires no assembling, no form-work, no labor for installation. Once the Century concrete step is installed maintenance is nonexistent for decades. Century steps are ideal in tropical and sub-tropical zones. Fungi, insects, heat, humidity, excessive precipitation or decay will not affect their permanence, performance or safety. 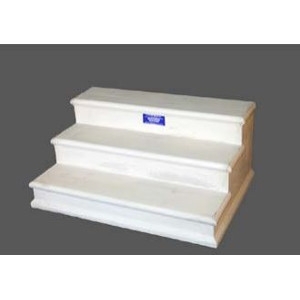 Century steps are manufactured using special concrete admixtures which make them Century Four Tread Step With Aluminum Handrailsvery durable in areas that have frequent freeze/thaw cycles.